"One of the most talented and inquisitive trumpeters of the day." CLARENCE "HERB" ROBERTSON is internationally renowned as an innovative instrumentalist, composer and arranger in both traditional and avant-garde jazz idioms and new music. 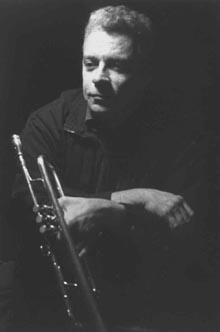 In 1981, Robertson became one of the original members of Tim Berne's ensemble and shortly after joined Mark Helias's band. 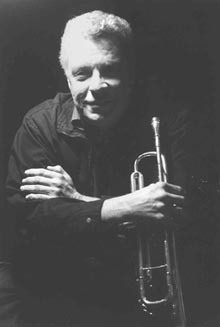 It is with these two artists that Robertson first began receiving enormous critical acclaim on tour throughout the United States and Europe and on subsequent recordings documenting his original brass concept incorporating extended mute technique. From 1985 to 1992, Robertson recorded as a leader with JMT musical productions in Munich, Germany, producing five albums under his own name. On various other labels, he has recorded with many of the leading lights of the New York Downtown Scene including Bill Frisell, Wayne Horvitz, John Zorn, Bobby Previte among others (selected discography included). After his debut album, TRANSPARENCY, Herb Robertson formed his own quintet and opened the Greenwich Village Jazz Festival in 1986 to high critical acclaim. This was the first time an avant garde band opened a major jazz festival in the United States. Soon after, the quintet toured Europe.Robertson has been leading groups ever since, and now records as a leader for Leo, Splasc(h), Cadence, and the CIMP record labels. Robertson has been invited as a soloist and guest artist for many important European Jazz and New Music productions. 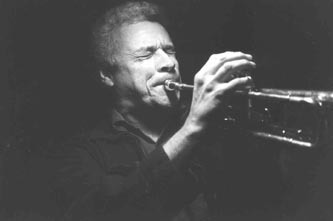 He was invited to the important "October Meeting" in Amsterdam in 1987 and 1992, along with Cecil Taylor, Anthony Braxton, Gerry Hemingway, Steve Lacy, Paul Bley, Horace Tapscott et al, and is a frequent performer at the Berlin, Saalfelden, Willisau and Nicholsdorf music festivals. He toured with the Charlie Haden Music Liberation Orchestra at major jazz festivals in Italy, England, Scotland, Switzerland and Austria. Since the 1990's Robertson has recorded and performed internationally with Tim Berne , the Mark Helias Band, The Fonda / Stevens Group, the Simon Nabatov Quintet, Andy Lasterís Hydra and Barry Guyís New Orchestra along with many others. He has since performed/recorded with Anthony Davis, Bobby Previte, Elliot Sharpe, David Sanborn, The George Gruntz Concert Jazz Band, the London Jazz Composerís Orchestra, the Klaus Konig Orchestra, Rashied Ali, Ray Anderson, Bill Frisell, Paul Motian and Dewey Redman, among many others. Currently Robertson's own ensembles include The Double Infinitives, the Herb Robertson Brass Ensemble, and his improvising trios with Dominic Duval, Jay Rosen, Paul Smoker and Phil Haynes. Among Robertson's performances and recordings for theatrical and dance productions are the Merce Cunningham Dance Foundation with composer, David Behrman and the Public Theater production of "Track and Field" with composer, John Zorn. "Robertson transforms his instrument into many things; makes it squeal, purr and chortle; plays beautiful soaring, almost classically contoured cries; and works out a Doppler shift effect, with fluffier notes approaching and receding, only to gradually skew out of equilibrium and become syncopated with ominous growls and squawks." "An unsung hero of jazz brass playing." "Robertson forces runs of super-human length, power and density from his horn, yet his tone is amazingly clear and crisp. He uses a range of half-valves, split tones, and mutes to introduce a breadth of tonal colorations to his performance." "Power chops, sneaky lyricism and dexterity with mutes." "Robertson has always been a virtuoso of plunger and mutes -no anemic Bubber Miley imitations here...the full range of brass sound with startling elasticity"
*Reissued as "JMT Series / Winter & Winter"
"Herb Robertson has a voracious appetite for the jazz past, with an eye toward the future" The New York Times. "Simultaneously forward and backward looking vision"...Cadence. "Robertson can mix it up"..Musician Magazine.